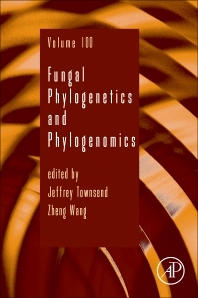 Elihu Professor of Biostatistics and Ecology and Evolutionary Biology Jeffrey Townsend and Associate Research Scientist Zheng Wang edited volume 100 of Advances in Genetics, entitled Fungal Phylogenetics and Phylogenomics. The series continually publishes important reviews of the broadest interest to geneticists and their colleagues in affiliated disciplines, critically analyzing future directions. This volume presents users with new chapters that delve into such topics as maximizing the power of phylogenetic and phylogenomic data analyses, advances of fungal phylogenomics and the impact on fungal systematics, data crunching for fungal phylogenomics: insights into data collection and phylogenetic inference based on genome data for fungi, genomic and epigenomic traits of emerging fungal pathogens, advances in fungal gene cluster diversity and evolution, phylogenomics of the Fusarium oxysporum species complex, phylogenomic analyses of pathogenic yeasts, and the phylogenetics and phylogenomics of rust fungi.